MVP Aero&rsquo;s amphibious light sport aircraft is expected to be sold first as an experimental amateur-built kit. Rendering courtesy MVP Aero. An interesting option for the aircraft is the ability to turn the cabin into a camping tent. Rendering courtesy MVP Aero. MVP Aero expects the aircraft to fly in 18 months. Rendering courtesy MVP Aero. An MVP Aero rendering of the aircraft&rsquo;s cockpit shows glass avionics and dual controls. MVP Aero is offering a discount to show customers at EAA AirVenture on orders for the aircraft. Rendering courtesy MVP Aero. One of the features of the MVP Aero LSA is a walkway around the outside of the aircraft, especially useful when on the water. Rendering courtesy MVP Aero. An artist&rsquo;s rendering of the interior. Rendering courtesy MVP Aero. MVP Aero envisions how the amphib might be used. Rendering courtesy MVP Aero. Minneapolis-based MVP Aero has collected a group of talented management personnel and an aircraft design team with a strong track record to develop an amphibious two-seat light sport aircraft, capable of turning into a camper. It's still mostly inside Mike Van Staagen's computer at the moment, but the 104-knot aircraft should fly in 18 months and start deliveries not as a light sport aircraft but in the experimental amateur-built category in three years. Van Staagen's last project was to develop the Cirrus Vision personal jet. The $189,000 MVP Aero aircraft can achieve 104 knots true airspeed if run flat out at sea level, but will cruise at a lower speed. The speed is yet to be determined. During the EAA AirVenture show customers will get a $5,000 discount off the $189,000—the price of the factory-built light sport aircraft. As an experimental amateur-built kit, it will cost $169,000, but the owner must still paint the aircraft. When delivered as a factory-built light sport aircraft in five years in the special light sport aircraft (S-LSA) category paint will be included. The price of $189,000 is without options, such as the more powerful Rotax 914 engine as opposed to the standard 100-horsepower 912 engine. The purpose of offering the airplane first not as a light sport aircraft but as a kitplane is twofold. First, it starts cash flow for the company. Second, by choosing only experienced and knowledgeable "pathfinder" kit builders, their experience can help prove the design. The company has enough cash on hand now to fund the prototype and first flight. The money was obtained by selling dealerships overseas, and through sales to pathfinder kit builders. Additional funding will be needed for the production phase. Van Staagen said the aircraft will carry approximately 26 gallons of usable fuel. Since the design goal is to have a 450-pound useful load, that leaves 300 pounds for passengers and cargo. One of the most interesting options for the airplane is a tent specially designed to turn the cabin into a camping tent, complete with a flat composite floor big enough for two people to sleep. The instrument panel flips out of the way to create a larger living area. The aircraft appears to be a competitor for the Icon A5 light sport amphibious aircraft that is nearing production in California. The MVP aircraft will have manually folding wings and will be capable of landing on land or water. The design for that, the final configuration, will be the subject of an announcement by MVP at the 2015 EAA AirVenture show. A mockup was presented at this year's show. In three years the aircraft will be offered as a kitplane. In four, it will be offered as an experimental light sport aircraft. In five, it will be offered as an S-LSA, a factory-built special light sport aircraft. Alan Klapmeier serves on the board of advisors. MVP was founded in 2012 by the father and son team of Darrell and Michael Lynds, and best friend British-born Steve Pugh, now an American citizen. Van Staagen, who said he is a small airplane guy at heart, calls it his most exciting project yet. A scale model was flown in 2013. One of the unique features is a walkway around the outside of the aircraft, especially useful when on the water. The founding team owns 85 percent of the company and provided an investment to fund the work done so far. Strategic partners include Glasair Aviation of Arlington, Washington, and Fibercraft of Spruce Creek, Florida. Chinese entrepreneur Fang Tieji has the rights to manufacture and distribute the aircraft in Asia. The company is American owned. 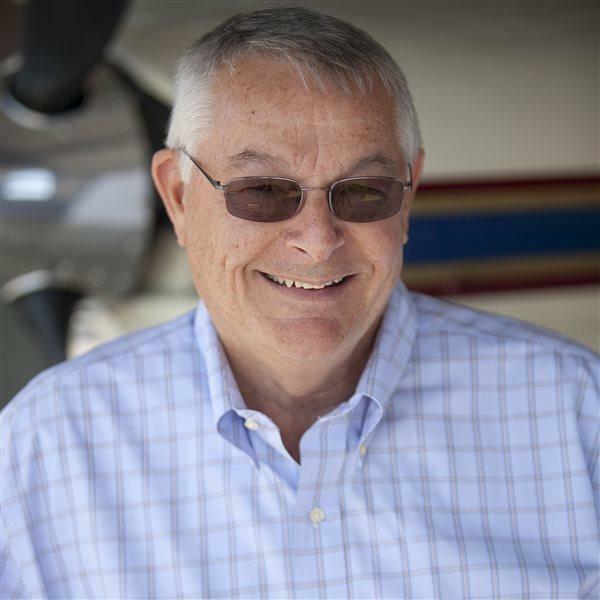 Alton K. Marsh is a former senior editor of AOPA Pilot and is now a freelance journalist specializing in aviation topics.